"I think this fight will be a lot closer than some people are anticipating, and I'm going to go with my gut and back Woodley to successfully defend his belt via decision. There is a massive danger that Wonderboy lands a knockout blow as the fight moves into the later stages, but I can't get away from Woodley getting it done." Check out my full preview here, where I'm backing McGregor to win via KO/TKO in Round 2 at 7/1. Second on the billing is a mouthwatering contest between newly crowned 170lbs champion, Tyron Woodley, and the highly rated Stephen 'Wonderboy' Thompson. I've been studying this fight for a long time and I really have gone back and forth over my verdict. Strong cases can be made for either fighter and that's what makes betting on this fight even tougher. 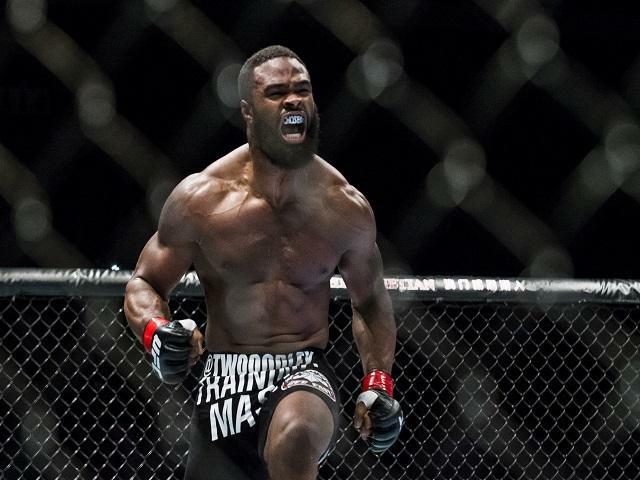 In Woodley, we have a powerful, athletic wrestler, who over the course of his MMA career has developed pretty respectable striking, which is focused around quick power punches. He has natural KO power, as demonstrated in his last win, over Robbie Lawler. I didn't expect him to win that and I think if we see that version of 'The Chosen One', then there's no reason he can't have success here. His main issue has always been his cardio and, over five rounds, there are certainly question marks. They say styles make fights and well, you couldn't have a more contrasting style than that of Stephen Thompson. He is the epitome of an accurate striker, who uses his range to his advantage and he has perfected the art of 'stick and move'. Sometimes when you have a guy that is content to sit on the outside, he doesn't necessarily pack a punch, but that is not the case here. Wonderboy possesses deadly knockout power. I think this fight will be a lot closer than some people are anticipating, and I'm going to go with my gut and back Woodley to successfully defend his belt via decision. There is a massive danger that Wonderboy lands a knockout blow as the fight moves into the later stages, but I can't get away from Woodley getting it done. The first title fight of the evening is an all Polish battle between Joanna Jedrzejczyk, the undisputed Queen of the Womens Strawweight division, and Karolina Kowalkiewicz, who has a clean record of 10-0 to her name. These two have fought previously, in an amateur bout back in 2012. Joanna took that via submission and although I foresee the same victor this time, I don't think this one will even go to the ground. For me, this is a much easier fight to get a read on than the two title bouts that follow it. Both Jedrzejczyk and Kowalkiewicz are very similar fighters. They like to stand and trade and it would not surprise me to see this become a bloody affair. On previous tape of both fighters, Jedrzejczyk just seems to do everything that Kowalkiewicz does, at a vastly better rate. She throws more volume, she has better power, is more accurate, and she also has the experience edge having already won under the spotlight on numerous occasions (this will be her fourth time defending the belt). I think the first few rounds will be competitive, but as the fight moves into the Championship rounds Jedrzejczyk will begin to seriously wear her opponent down and she should be able to pick up the stoppage. Ever since his stint as Middleweight champion I've held Chris Weidman in the highest of regards. I think he is still the best Middleweight in the division and after this fight i'm hoping he gets a chance to redeem himself against Luke Rockhold. He faces a beast of an athlete in Yoel Romero, who is gifted with extreme explosiveness and power, and bases every facet of his game around those two key skills. He is a tricky southpaw that waits for his opportunity to explode into deadly waves of strikes. This won't be a walk in the park, and it wouldn't surprise me if there were fireworks early. I think as the fight goes on, Weidman's pressure game and his ability to work his opponent against the clinch will wear Romero down. Romero poses a legitimate threat to Weidman here and he's going to have to have his 'A-game' to take the win. I just think Weidman is going to have a point to prove here and I sense a late stoppage going his way. I'm very excited about this match up between Donald "Cowboy" Cerrone and former Ultimate Fighter winner Kelvin Gastelum. Both fighters are very well rounded and they both like to put on a good show. Since moving up to Welterweight, Cerrone has been on an absolute tear. He's made relatively easy work of all three of his opponents in the division, and has won all three fights via stoppage. He has deadly stand up, with a wide range of kicks and strikes. The ground is where he thrives though and jiu-jitsu is definitely his bread and butter. Some 16 of his 31 professional wins have come via submission. He has some of the slickest transitions in the UFC and can finish the fight in an instant, both on the feet or on the ground. Up against him is the still young, still developing, Gastelum. For someone that is only 25-years-old, he has a fantastic CV. His defeat of former Welterweight champ Johny Hendricks last time out signifies his constant progression towards the upper echelons of the division and if he can pull off the upset here he will find himself firmly in the title picture. He is a pressure fighter who has a solid wrestling base that he likes to use whenever possible. He frequently swarms opponents and thrives when in top position on the ground. For anyone that has followed Cowboy throughout his career, you will know that Gastelum's style has constantly given him problems. Cerrone has a habit of becoming tentative when he isn't given the time or space to move. Although this is a risk, I still see Cerrone taking this one. I think the most likely outcome is Gastlelum gets caught in a submission while in top control. I'm classing this one as a "banker". Former champion Miesha Tate can definitely be classed as one of the elite fighters in the Womens Bantamweight division, whereas her opponent Pennington, in my opinion, isn't anywhere close to it. Both fighters like to stand and trade punches. They both have very high work rates but the difference in this fight will be technique and Tate, although sometimes accused of "windmilling" on the feet, has the huge technical advantage. Pennington is a gutsy fighter who to her credit, has won three on the spin. Tate will land more shots, will land some takedowns, will beat Pennington up, and will ultimately walk away with her hand raised in a decision victory.